I'm one of those people that is obsessed with hand cream and always has some in my handbag at all times. These two are my go-to hand creams, the Bliss high-intensity hand cream is my day time cream which is perfect to use throughout the day when your hands need a good moisturize. Alike Bliss's other products it has a fresh, mild fruity smell to it and just really gives your hands a nourishing boost. 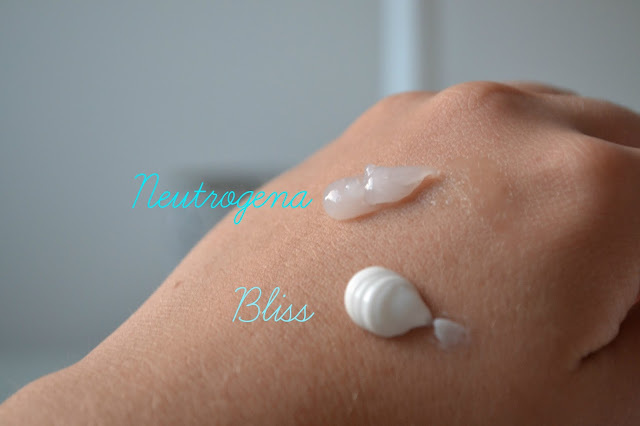 The Neutrogena Norwegian Formula hand cream I like to use at night time as it is highly moisturizing and works wonders on chapped hands. This hand cream feels like an intensive treatment on my hands and when I wake up my hands are super soft. Now the weathers getting colder this stuff will come in really handy as my hands get really raw and chapped in the cold and they need constant care. Together these two keep my hands in tip-top condition and soft like a baby's bottom!